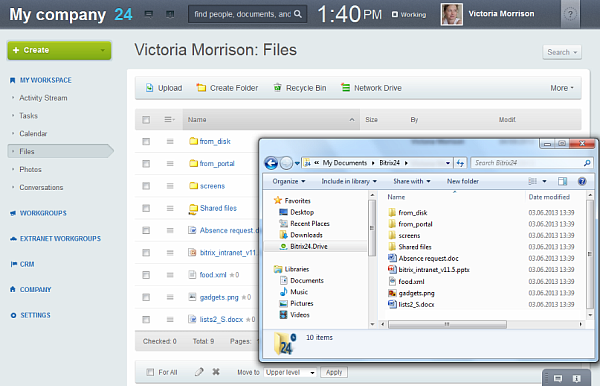 Beyond sharing, a highly desirable feature is file sync, which means that a local version of your files is stored on your own computer, and changes in the documents are synchronized with the server (Dropbox or Bitrix24) whenever they are made. The main plus for this is that users can work while offline (on a plane, for example) and have their files update the server when they get back online automatically, without any hassle. 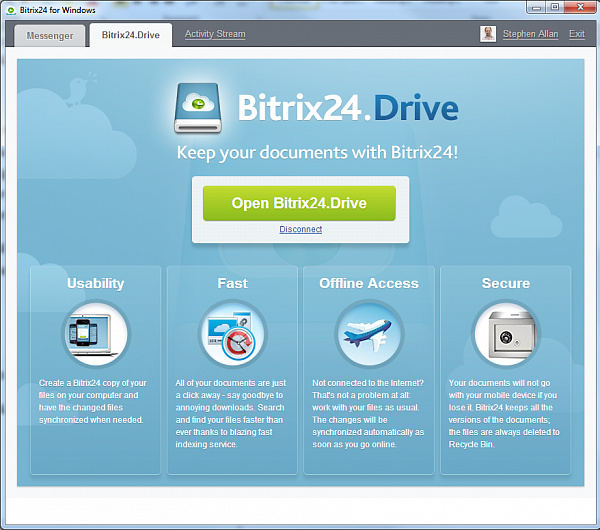 Bitrix24’s desktop app features the Bitrix24.Drive, which offers this service.